As I type this post, Troy Davis, a man convicted of killing a policeman twenty years ago awaits death. He will be executed by lethal injection in a matter of a few hours, two at most. I post paragraphs from one of my favourite essays ‘A Hanging’ by George Orwell, about death, killing and what it means to execute a person. If by some rare chance, Troy Davis isn’t dead when you read this, please sign this petition here. 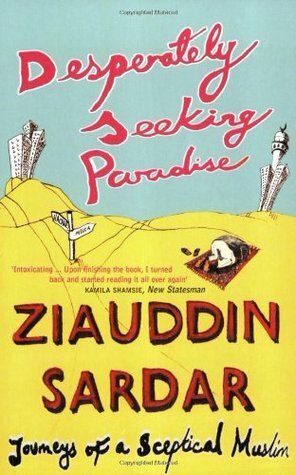 I am currently reading Desperately Seeking Paradise: Journeys of a Sceptical Muslim. This is a semi autobiographical account of the author Ziauddin Sardar, a Pakistani immigrant who came to the UK as a child in the 1960’s. It deals with how he had to negotiate two identities, that of a Pakistani and that of a child growing up in Britain and having to embrace a British identity. The book so far has been an exceptionally thrilling read. However, I can’t help but feel that when I have finished reading it I will consider it to be a far too liberal approach to how my ideas of Islamic ideological discourses would be, even though I am sure I would have been superbly entertained. I couldn’t help but chuckle when I read the following paragraph this morning. Though not exclusive to Muslims, and is more of a phenomenon intrinsic to Asian families irrespective of their faith, I couldn’t help but chuckle at it’s authentic pertinence. Life as you would have it.